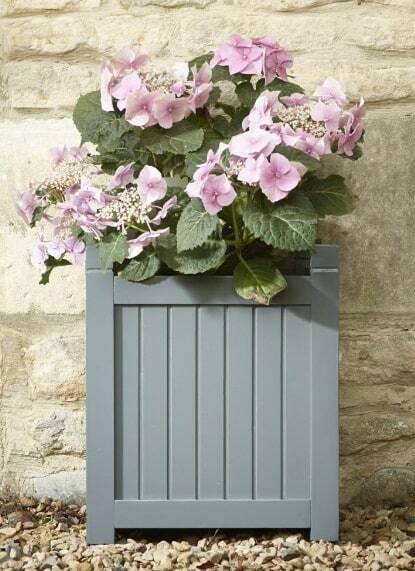 These flat packed planters are made from hardwood and come in two attractive colours, bone and downpipe grey. Available in two sizes. They come in a presentation box, making it a great gift for the keen gardener, and are easy and quick to assemble. Our round topped paling planters are made in 3 different sizes from tongue and groove Russian redwood. All are guaranteed for 5 years. 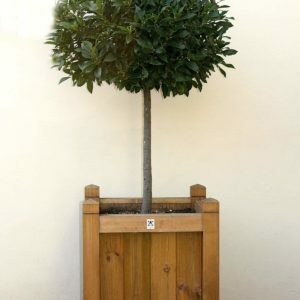 All planters are pressure treated with preservative and are suitable for painting or staining. However we recommend that they are also painted in the inside with bitumen paint or a layer of poythene is attached to the inside to protect them from the effects of the damp soil and to give them greater longevity. As we make them ourselves, we can make them to different sizes or in hardwood. Please contact us for further information. 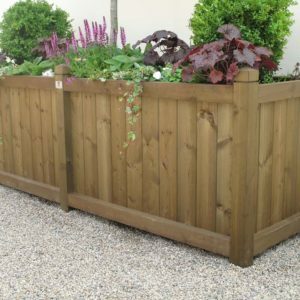 Our Duncombe planters are made in 3 different sizes from tongue and groove Russian redwood, with a shaped finial at each corner. All are guaranteed for 5 years. 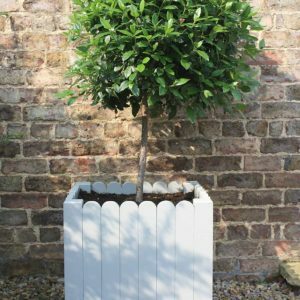 All planters are pressure treated with preservative and are suitable for painting or staining. However we recommend that they are also painted in the inside with bitumen paint or a layer of poythene is attached to the inside to protect them from the effects of the damp soil and to give them greater longevity. As we make them ourselves, we can make them to different sizes or in hardwood. Please contact us for further information.